In the first part of our series, we covered the basics of mobile marketing, and provided some data we were able to piece together to show how important learning to master this technology can for your mobile business. In today’s article we will go over the advantages of mobile marketing as well as the disadvantages. eMarketing has emerged primarily because of the Internet, and has allowed food truck vendors to invest very little money in their marketing and advertising budgets. Not only has the Internet become a major marketing channel, but the connectivity and community aspects of the Internet have brought about a mind shift in the marketing of savvy organization. Mobile Marketing is shaking things up once again. As a direct response medium with lowered costs, easy customization and sophisticated tracking, even on a mass scale, mobile is proving to be an extremely profitable medium for advertisers and marketers. With direct response and relatively lower cost of communication, mobile is changing the face of the marketing world. Here are six features unique to mobile phones, highlighting the unique benefits and challenges of the mobile phone. Mobile phones are usually on. Mobile phones have a built-in payment system. They can provide accurate audience measurement. Mobile phones capture the social context of media consumption. Make sure you take advantage of these Advantages Of Mobile Marketing. Instantaneous. As your customer is likely to be carrying their mobile devices, they are more likely to receive and absorb the message on the spot. Efficient. Creating content such as images or video for streamlined mobile devices is relatively inexpensive. This mobile efficiency is also great for promotions, such as issuing coupons for your food truck. Promotional codes and coupons can be relayed to the audience via mobile devices, allowing users to ‘carry’ around the virtual information and use at a convenient time. Convenient. With a good idea in action, mobile campaigns can prove more convenient than traditional media. This is because the content is kept down to a minimum and the platforms are adaptable. Consumer Relationship Management. Another advantage of mobile marketing is it increases in relationship building potential. Mobile phones are private and relatively secure. Because of this they allow a more personalized approach. You can receive feedback instantly, leading to a valuable two-way conversation with your customers. Multimedia. Like the PC, photos and videos are available, but it’s never been easier for users to create and share this content. The ability to view this content is an important advantage of mobile marketing, but campaigns can also be centered on user generated multimedia content. Audience participation allows your campaign to grow exponentially, in content and influence. Payment. Mobile devices have the potential to replace the physical wallet as it is a relatively secure payment device. This means the consumer doesn’t have to carry around wads of cold cash – but can pay via advanced mobile Web systems. Direct, Personalized Marketing. By the time you’ve finished reading this sentence, a mobile user could have received a direct marketing message from you. Their device can be used as a virtual wallet, there is potential for a sale to be completed. Make sure you avoid these Advantages Of Mobile Marketing. Few standards. Mobile phones are even less standard than PCs. Not only do phone models present a myriad of screen sizes, there are also several operating systems and browsers that are used by mobile phones. Privacy and Permission. Privacy is always in question on any mobile device. 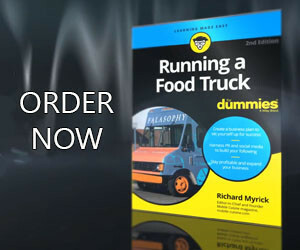 Savvy food truck vendors must be aware of the connection that users feel with their mobile phone, and offer clear instructions for opting out of marketing communications. Education. The use of more advanced features of phones can require an extensive education process. While mobile phones have a host of features, these devices are for the most part under-used. Marketing is becoming a mix of art and science with advances in technology. At the same time mobile marketing still requires good timing. There also has to be creativity to create relevance and emotional connection between the mobile user and your brand. We hope you enjoyed this series of articles covering mobile marketing, and this article on the advantages of mobile marketing. Keep an eye out for our next installment. There we will cover the ways to reach potential customers for your food truck or carts mobile marketing campaign.